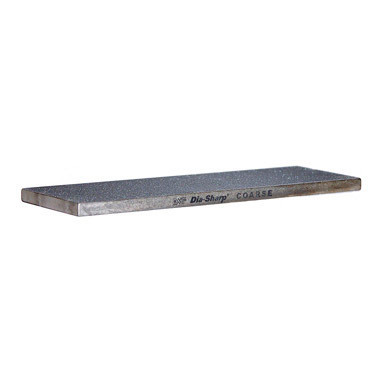 DMT Dia-Sharp® - double-sided continuous diamond stone. Diamond grade clearly marked on each side of stone. Sharpening with diamonds is fast and easy. No messy oils needed-sharpen dry or with water. Durable construction will provide years of consistent performance and reliable service For proper tool maintenance, woodworkers, chefs and other professionals rely on the superior quality and versatility of DMT products. Made in USA. Size: 6" x 2" x 1/4" (152mm x 51mm x 6mm).